Great weather greeted another very active fund-raising event supporting Council 1504. The Knights of Columbus Big Spring Cleanup was held at two locations Saturday May 2nd. 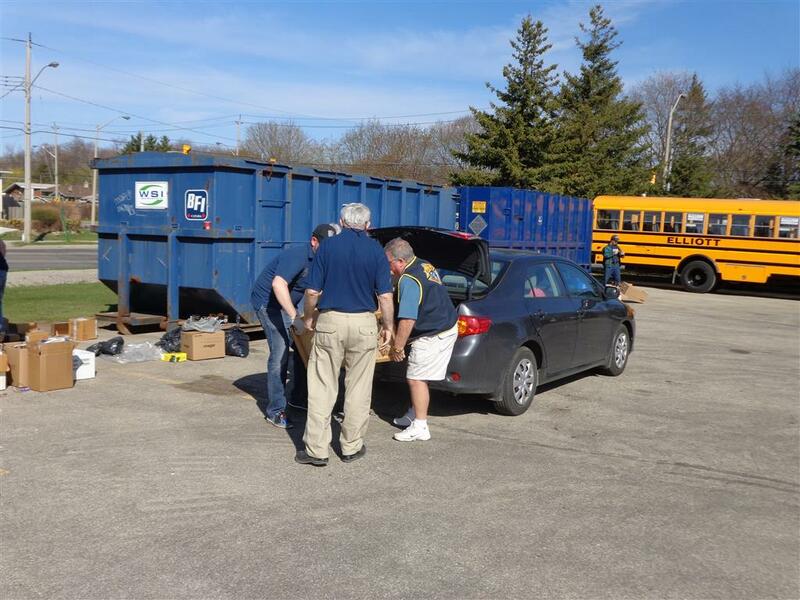 Fueled by hot coffee and muffins, and assisted by a fleet of trucks, a hard-working crew of Brother Knights at the St. Anthony Daniels’ parking lot filled three containers with e-waste, scrap metal and bags of unwanted clothing that will be recycled. Brother Ed Langlois was at the bar-b-que cooking the hot dogs while Brother Kevin Schmalz, with the help of Ed’s grandson, organized the car wash. 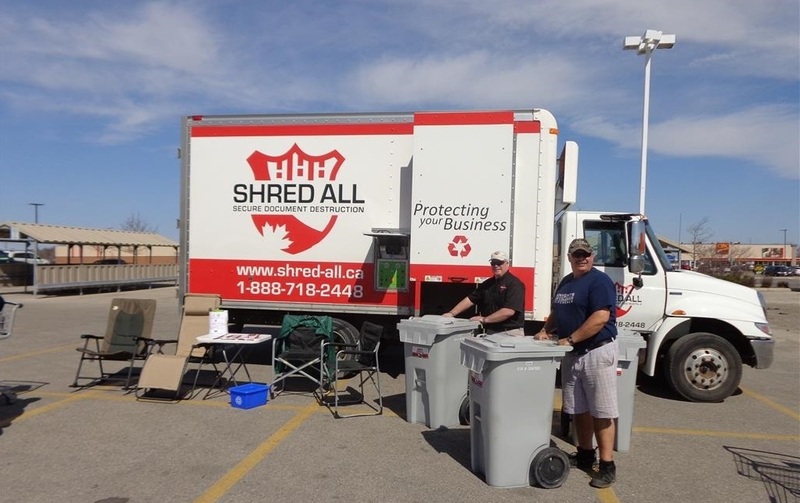 While over at the Zehr’s Laurentian parking lot, Brother Peter Penlington assisted by Jim Miller and his Shred All truck were busy disposing of 35 bins or 210 boxes of paper, collecting about 300 lbs of food and $515.00 in cash and cheques for the Kitchener Food Bank. Funds raised from the recycled items could reach $4,000.00, meanwhile a big “Thank You” to those Brother Knights who made this day the success it was.